Tips Is It Possible To Change The Look Of The Clock? Or are we stuck with just that one? 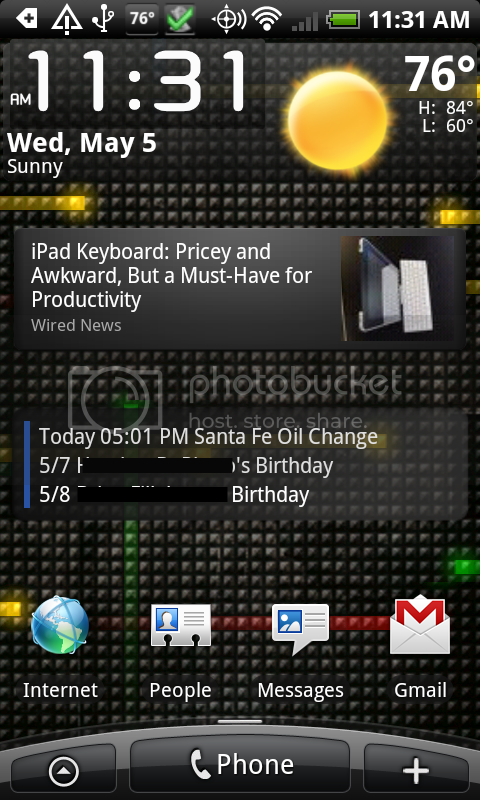 Press and hold the background of your home screen. Select Widgets. Select Clocks (HTC). Choose which one you want. There's also many others that are available to download in the market. That's Android...you are never stuck with what Android/HTC gives you. You have options. Got to love the EVO. Download 'Beautiful Widgets' They let you have a 1 line widget clock "Beautiful smaller home" and there are hundreds of skins you can download to change the look of your clock. After you download it, hold down on screen and click on "widget" then select "beautiful smaller home" then scroll to the bottom and select skins. Have fun! this. i'm using beautiul widgets... carbon fiber digtal clock..